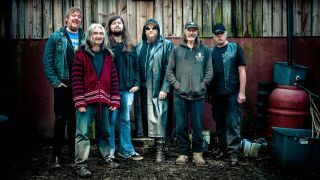 Hawkwind are to release The Machine Stops on April 15. The follow-up to 2012’s Onward is a concept album based on E.M Forster’s dystopian sci-fi novel, also named The Machine Stops. Hawkwind have also added further shows to their UK tour in April. The Machine Stops can be pre-ordered here.